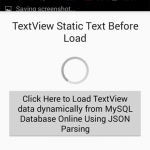 How to fetch,show and set multiple MySQL database data rows inside android custom ListView directly from online. 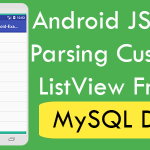 Android dynamic custom listview means listview created by PHP MySQL database table rows + columns data which is coming directly online from server. On the server we have created a table with multiple values which we have converting into JSON data using PHP scripting code. 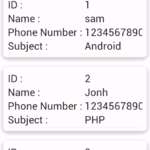 Now From android application we just making a online web call using GetHttpResponse extends AsyncTask class. So here is the complete step by step tutorial for Create Dynamic ListView using JSON Parsing + PHP MySQL db data coming from server. 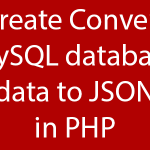 How to Create Dynamic ListView using JSON Parsing + PHP MySQL db data coming from server. Click here to download Create Dynamic ListView using JSON Parsing + PHP MySQL db data coming from server whole project with MySQL db file included. Nice tutorial, help me a lot. Thank you for this. I have a question that I can’t find anywhere online. . You created a table on mysql and convert the table to JSON using php script, when I load a new row in the table, will it show in my app? I am facing the above problem. 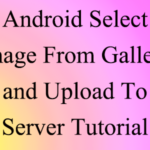 RANJAN download the whole project and upload the server code on server and run the app. I have one question sir , how to add button in that code and retrieve records on click button. is it possible in that code? Thanks for the awesome tutorial………………….. Thanks in advance because i know you will teach me………. Avikal i am currently working on that tutorial and as soon as it completes i will publish it. ok sir i m waiting please publish it soon……………. i m just going on this..
Sir it was helpful but i need to go details of the item when clicked and also description come from server. I need both android and php code for that. If you are free then please sir help. Just download the project Steven using download button . Thx for your Answer. I did, but i cant open the Project cuz its says some files are missed like build.grandle. Steve then just follow the steps and create the same files as i did. 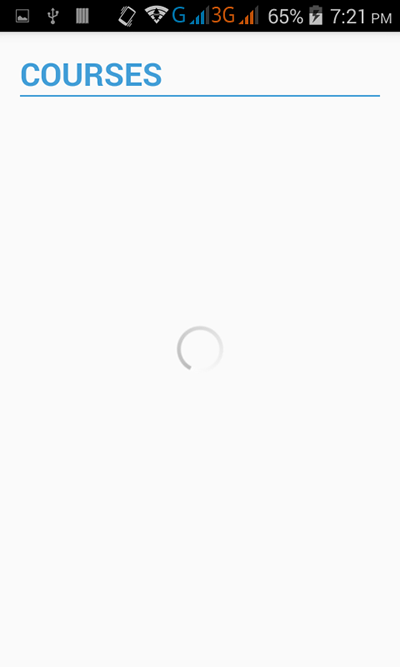 Sir, i told you i go your App working, but i have a big problem, the app do not accept the latters: ß, ä,ü,ä if i put a text like mißt the app do not show the message, how can i fix this? Why you delete my Post. I hope i get a Answer. If i use words with ä,ö,ü,ß your App do not Show messages. If i remove the letters: ä,ö,ü,ß then it shows me the messages, can you tell me how i can fix that and it shows normaly ö,ä,ü,´ß ? Steve i really have no idea that it dose not support these type of characters. Realy no Idea 🙁 ? Hey Sir, i got all working. I have a Idea but i can’t Handly it how to get it to work. Yes Steve Just apply listviewadapter == null condition then in the scope print the toast message that noting to show. Its not working, still no message popup, i delete ervything on my database but nothing appears. Debrah just create all the variable in which you want to store the retrieved data in cources.java then just follow all of my code. 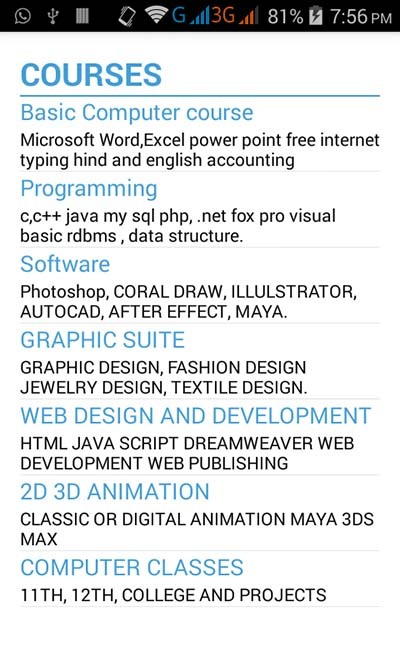 why this arraylist were created because i am thinking maybe the problem might be from here.Thank u. Thanks so much sir,it worked buh am trying an app that i want to retrieve record based on the Customer Id that i want to input from my app ,can u please help me out. Thank you so much… You have save me… I passed one week to resolve this problem not succes… But when I see your tutorial everything gone better.. Thank u so much..
hi sir, I want to retrieve data by id, means I have an Id and I want to retrieve data by particular id .not all data in database. Thanks sir, good tutorial. 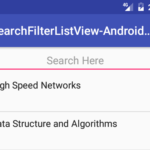 I read this tutorial but I can display this output in list view . Mali i am already using ListView in this . 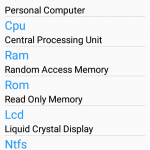 Gurram Ashok what error you have facing ? 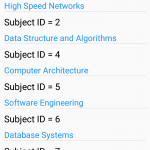 Yes sure, Table course has 3 columns, First one is id, Second is course_name, Third is cources_description. Now here id column is the primary key. Now in Type field set id as INT, course_name as VARCHAR, cources_description as VARCHAR. Length/Values should be 255 for every column. still it is not showing no errors and we didn’t get output…..can u please text me your mail id…. I have followed your code but changed slightly according to my database. will it work on api23?